Call 1-800-544-PEST today to speak with a service representative about your pest problem, or fill out the form above to schedule a service online with Unlimited Pest Elimination. Stink Bug adults emerge from what scientists refer to as overwintering. These resilient creatures have developed a variety of winter survival adaptations to make it through winter. Between May and the beginning of June, they mate and lay eggs. From June through September, the eggs hatch into small nymphs that go through five molts between July and September. Adults begin to appear in mid August to early September. Studies have shown that their flights in search of overwintering sites start in mid September and peak during the first half of October. Activity is most common in homes August through December. These prehistoric looking shield shape dull brown bugs are not from New York or New Jersey. The Brown Marmorated Stink Bug, or Halymorpha halys, is a native to Asia. In the United States they were first reported in the state of Pennsylvania, when in September of 1998 a few bugs were found in the city of Allentown. In 1999, the bugs were first identifed in Milford New Jersey. It only took a few years for the bugs to become well entrenched thoughout most of the state. Most likely, the Stink Bug arrived here as stowaways inside packing crates hidden among the tons of Chinese imports that entered our country. As an introduced species with no native predator, the Stink Bug population has grown virtually unabated. Insects are adapted their environment in many ways. An adaptation is an adustment to the environment so an insect can fit in better and have abetter chance of living. The green stink bug can be camouflaged, they are the same color green as the leaves they like to eat. This type of adaptation helps the stink bug survive by blending in with their surroundings so they aren't eaten or so that prey doesn't see them hiding. Green stink bugs are most commonly encountered in north america, well known are farmers for their destruction of crops. These creatures are polyphagous, meaning they can eat many different types of plants. Both nymhs and adult stink bugs have mouths with piercing and sucking components so they can remove fluids. While sitting on top of plants. The earlier in ths season stink bugs feed on a crop the more damage they do. Stink bugs mate in the spring and lay their eggs on a good food source, such as the underside of a leaf. Provided the weather is warm enough, the eggs hatch in a week. The nymphs develop into adults over the course of about a month, going through five distinct molting stages. During this time the nymphs will continue to live and feed off the host plant. In a cold snap, the young stink bugs will retreat underneath leaves or other organic debris untill weather warms up again. Seal any cracks with caulking or weather stripping to keep Stink Bugs out. Rotting window sills, improperly seal doors, and holes in screens are the usual suspects. Any vents, especially those connected to an attic, sould be screened off to keep stink bugs out. Give us a call at 800-544-PEST(7378) and we will give you a free price quote for a professional treatment of your home. 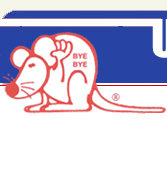 © 2005 Unlimited Pest Elimination. All Rights Reserved.